Can Georgia be reliably considered as a safe haven for Azerbaijani human rights defenders, journalists and civil society activists fleeing persecution at home? In May 2017 journalist Afgan Mukhtarli was abducted in Tbilisi and resurfaced in detention in Azerbaijan two days later – an incident, which sent shock waves through the exile community. 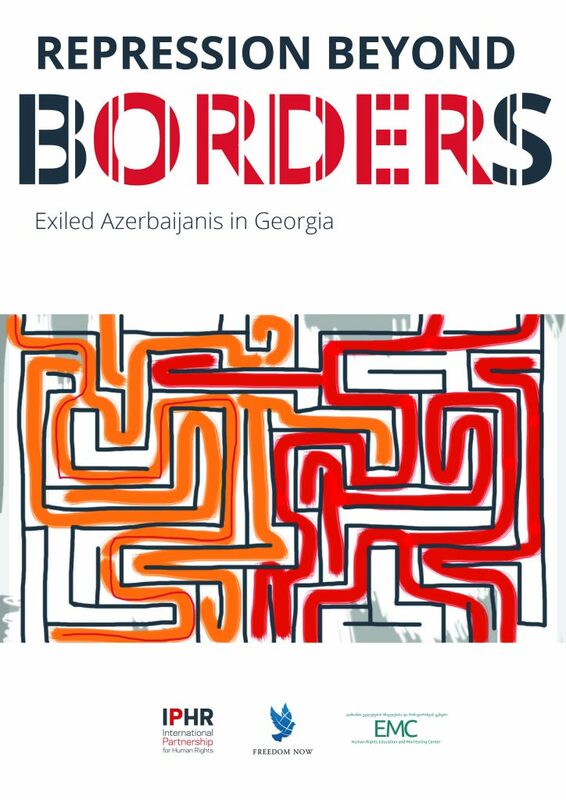 On 25 September 2017, International Partnership for Human Rights (IPHR, Belgium), Freedom Now (USA) and International Human Rights Education and Monitoring Center (EMC, Georgia) launched a new reported entitled Repression beyond borders: Exiled Azerbaijanis in Georgia. This report presents the findings of the investigation of the three NGOs into the circumstances of Mukhtarli’s abduction; harassment and threats directed towards Azerbaijani exiled dissidents by unknown individuals presumed to be associated with the Azerbaijani authorities; cases of the unfounded rejection of applications for asylum and residency permits by Georgia on dubious and opaque state security and public order grounds; as well as cases of dissidents denied entry into Georgia despite the country’s visa-free travel agreement with Azerbaijan. Since the crackdown on civil society reached a new level in Azerbaijan in 2014, many Azerbaijani activists and journalists have left the country for fear of persecution. Among other countries in Europe, neighbouring Georgia became a popular destination due to its proximity, historically liberal immigration policy, and NGO-friendly environment. However, the close relationship between the governments of Azerbaijan and Georgia has put Azerbaijani exiles at a high risk, especially after 2016. Azerbaijani journalist Afgan Mukhtarli was abducted in Tbilisi in May 2017 and resurfaced two days later in Baku facing a slew of specious charges. He alleges that Georgian speaking men in police uniform kidnapped, beat him, and drove him to the border, where they handed him over to Azerbaijani officials. These claims raise significant questions for the Georgian authorities. The NGOs issuing the report are also concerned about allegations that journalists Gulnur Kazimova and Afgan’s wife Leyla Mustafayeva, as well as political activists Vidadi Isgenderli and Dashgin Aghalarli and other Azerbaijani exiles have been followed, harassed, threatened, and at least in one case, attacked by unknown individuals in Georgia who they presumed were agents of the Azerbaijani government. The Georgian authorities have failed to investigate allegations of harassment and attacks effectively. Indeed, the authors of the report did not find a single case where incidents reported by Azerbaijani exiles resulted in the identification, let alone the arrest of the perpetrator. This failure to provide recourse to justice is a clear violation of Georgia’s obligations under international human rights law. There are also reports that a number of applications for residence permits and asylum lodged by Azerbaijani exiles have been rejected by the authorities in Georgia on dubious grounds, including vaguely worded risks to state security and public order. Particularly shocking is the case of Dashgin Aghalarli, who along with his son was refused asylum in Georgia on state security and public order grounds without any justification even though the decision noted that Dashgin would likely face persecution at home. Azerbaijani activists are also being denied entry into Georgia, in what appears to be a selective approach targeting those known for their public criticism of the Azerbaijani authorities. For example, Azerbaijani activist/rapper Jamal Ali, who obtained refugee status and has lived in Germany since 2012, was denied entry to Georgia at Tbilisi airport in April 2017 when he wanted to visit the country for work reasons. 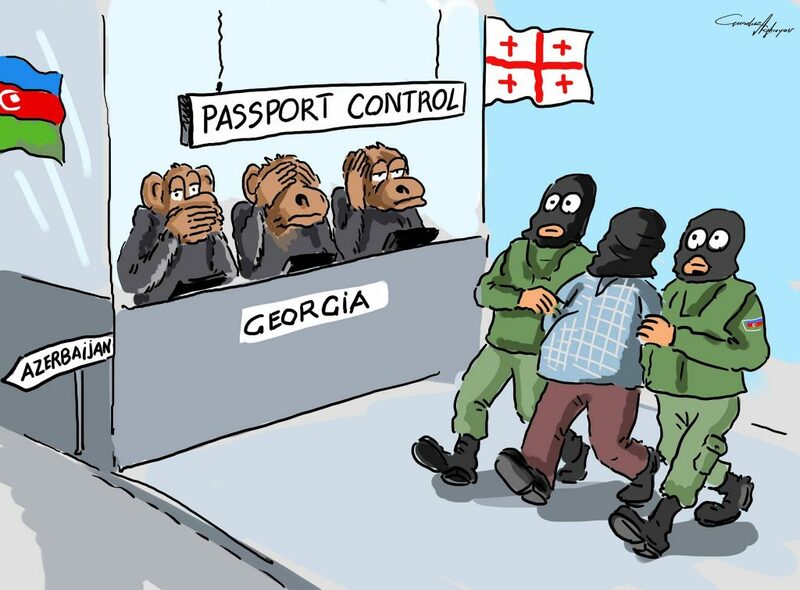 According to statistics provided by the Georgian government, more than half of those individuals who were denied entry into Georgia on state security grounds in 2016 and 2017 were from Azerbaijan. Carry out a thorough, impartial and independent investigation into reports that Georgian police were involved in Afgan Mukhtarli’s abduction; grant victim status to him and his wife; make the results of the investigation public; and bring to justice anybody reasonably suspected of being responsible. Conduct effective and independent investigations into allegations of threats, harassment and attacks directed against Azerbaijani exiles in Georgia. Ensure that Azerbaijani dissidents are not denied asylum, residence permits or entry into Georgia based on their country of origin and political views.